Some Animals - Jackson Wild: Nature. Media. Impact. In the 1960s, Robert Paine changed the face of modern ecology by conducting a new kind of experiment and coining the terms “Keystone Species” and “Trophic Cascade.” His work expanded on the ‘food webs’ concept and introduced the idea that not all organisms in a food web are equal (in terms of their impact on the varieties and numbers of other organisms). Thanks to his seminal work, scientists completely changed the way they approach population restoration projects, and they’ve learned that large predators are generally much more important than previously imagined. We take so much of the natural world for granted, often assuming that things “are the way they are” without asking the question “why?” For example, what determines how many animal species live in a given place? And what determines how large animal populations can grow? Surprisingly – until recently – we didn’t really know. The reason we now DO know goes back to a single scientist who had the focus and courage to ask a really big “Why?” question. And he followed it up with a clever and deep experiment – an experiment he designed and executed largely by himself over decades. 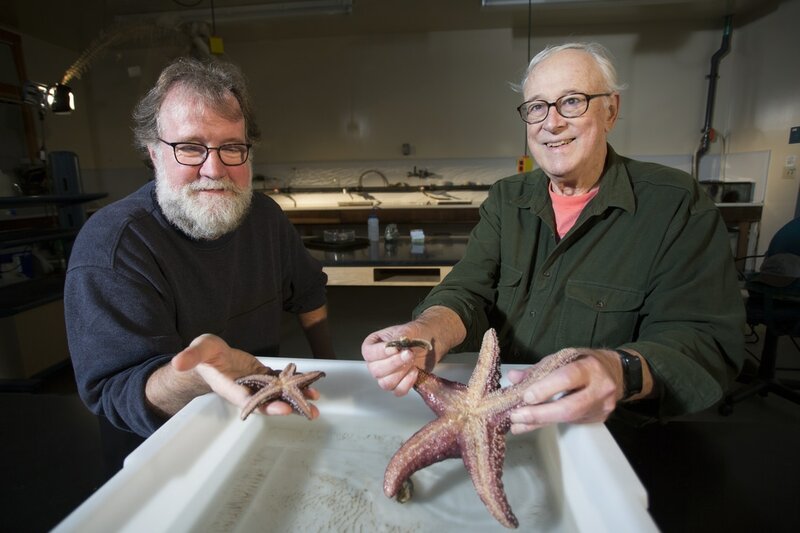 In 1963, when a young zoology professor named Robert Paine pried a starfish off the rocks in Washington state and threw it out into the surf, he could not have known the impact his actions would have. But when the smoke cleared and he analyzed his data, his conclusions completely reshaped the world of ecological science. Robert Paine’s work brought us the fundamental ideas of “Keystone Species” and “Trophic Cascades.” And by applying these concepts, biologists and ecologists have started to unravel some of the deepest secrets of nature – helping to reverse ecological disasters and bring endangered species back from the brink. And teaching us to treat large predators with great respect and care. NOTE: Robert Paine passed away earlier this year. It’s always particularly difficult to tell exciting visual stories of past research and scientific discovery when little or no footage exists. Luckily, both Robert Paine and James Estes (the scientists behind Keystone Species and Trophic Cascades) were alive at the time of filming. With their help, and access to their photo libraries and field notes, we were able to reconstruct his experiments with visual accuracy, depicting the simple brilliance of his approach. Another serious issue had to do with scientific method. In 1963, when Robert Paine did his first starfish experiment, environmental rules and regulations were very different. Paine was able simply to remove starfish from a coastal area to study the effects of species populations. Now physically removing – or even touching – Pisaster starfish is forbidden without a permit. Regulations (and the starfish wasting disease of the last few years) made it impossible to film reenactments of the core experiments with living starfish. To deal with this limitation, the production company fabricated a number of physiologically exact Pisaster starfish props. These fake starfish remained moored to shore with monofilament at all times to prevent them from being lost in the surf in a delicate marine protected area. I think, over the years, our most important science storytelling lesson has been this: People don’t learn about science very well from documentaries that ‘tell them the facts they didn’t know.’ To retain viewers’ and listeners’ interest, you need to have a story – a story with a character that struggles with an idea or question. And the struggle must connect to a process that eventually sheds some light on the question. Critical thought, problem solving, humans struggling with process, failure followed by a pivot – these have turned out to connect with our audiences more that spectacle and bare fact. This film was made for and with the educational wing of HHMI (Howard Hughes Medical Institute). As such, it’s mandate is simple: Connect students to critical thought and the scientific process. Show them how humans struggle with problems and take them into the scientific trenches. We not only want students to understand “how we know what we know,” we want them to see the human factors – all the doubts and triumphs that make science so interesting and so important. If viewers see this film and say, “Hey, I could have thought of that!” or “Oh, so that’s how they figured it out.” then we have succeeded. We believe that is how we can help motivate and develop the next crop of scientists – whether professional or citizen. 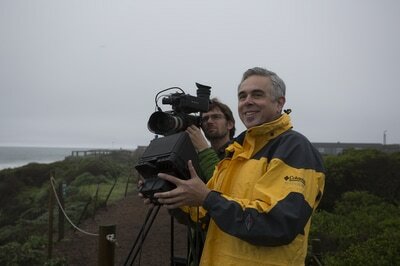 We will continue to focus on science, nature and environment films and mixed-/ cross-media stories. As broadcast television has stepped back from immersive science programming, we’ve been really excited to see the birth and rapid growth of web-based science venues such as the California Academy of Sciences “bioGraphic” or Nautil.us. We are committed to digging even deeper into the world’s best science stories and doing our part to help the world be a more “sciency” place.